Save The Date! 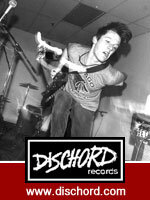 | The Washington, DC Record Fair Returns, Saturday, May 9! 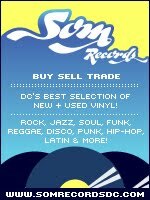 TVD is proud to have once again teamed up with Som Records and DC Soul Recordings to bring you yet another Washington DC, Record Fair on Saturday, May 9th from 10:00am—4:00 pm! Now, if you recall our previous event on an abnormally warm February afternoon, you'll remember not just the heat but the crowds that packed the gallery over at our wonderful hosts Civilian Art Projects. So, with both factors in mind, we've relocated to The Warehouse Next Door—doubling our capacity and doubling the number of dealers into the bargain! This time we've got 30 dealers from Connecticut, New York, and Richmond and many points in between. AND we've got a full bar and kitchen to sustain you between crate dives. Oh—did I mention that DC Legend Chuck Brown's paying us a visit? He'll be blessing the crowd and signing autographs between raffles to win autographed Daptone records and posters. DJs! We've got ten of 'em: Gavin Holland and the Nouveau Riche DJs, Neville C., Deep Sang, Stylus. Lunch Money & Almighty Dollah, Provoke, Eurok, D-Mac, Dan Amitai, and Nitekrawler! Our good pal John Foster designed the poster art you see at the top of this announcement and we've got signed and numbered, silk-screened, limited editions of the full poster with all the specifics on heavy paper stock—on site and on sale—for a mere $10 dollars. The head spins, doesn't it? I can't imagine that you'd be anyplace else.